Victoria 1837-1901. 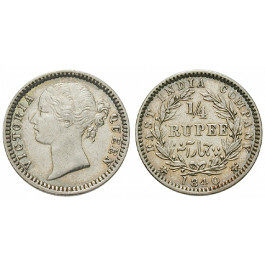 1/4 Rupee 1840 Madras. East India Company. KM 454.4; sehr schön - vorzüglich, Rdf.